Have you ever decided on something, and then regretted it later when it was seemingly too late? Well, that happened to us recently when we were painting our living room. We thought we’d like the main wall with the fireplace a darker gray color, Behr Paint Nightclub, but, that didn’t quite work out the way we’d envisioned it. Were we stuck with it? No. But, we were stuck with the daunting task of re-priming and re-painting the wall a second time. Oh, and spending more money on more paint! Before you even ask or assume that we didn’t get samples of paint and swatched it onto the wall, we did. The paint looked completely different once fully painted on the wall, and then dried. It like morphed into BLACK. The first coat looked like a nice dark gray, something slightly lighter than a charcoal gray. After the second coat dried, my husband walked in and said, “Kim. that looks black. I don’t like it. We have to change that.” I didn’t like it either. It reminded me of a room in Bill Compton’s house, especially with the wall sconces. Although I am a die-hard True Blood fan, I, nor my husband wanted to come home to a True Blood-ish set every day. So yeah, it had to go. We headed back to Home Depot to pick up another gallon of a different paint color. 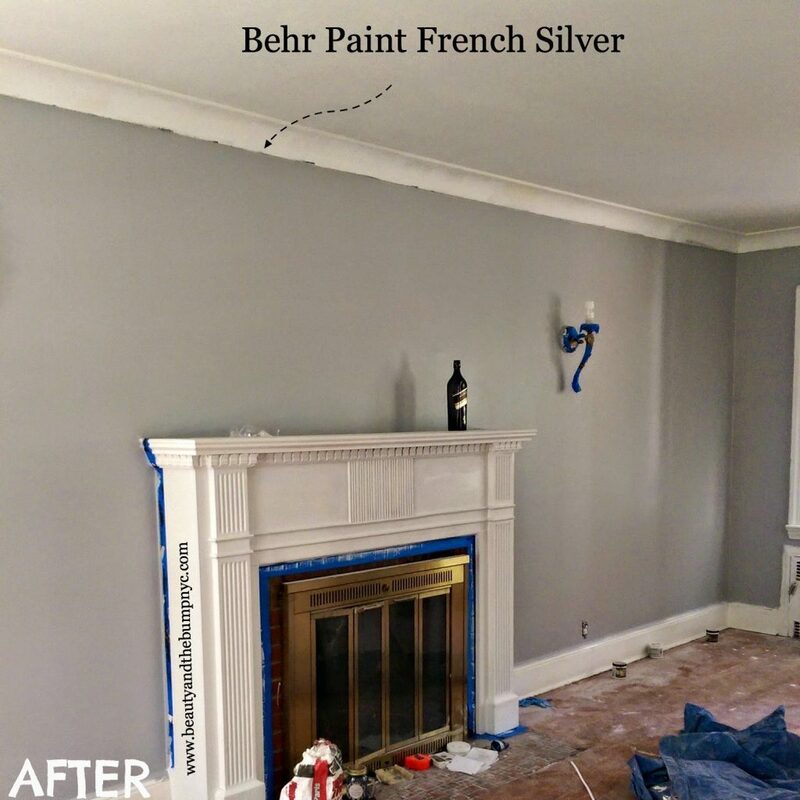 Instead, we decided to paint the entire room Behr Paint French Silver, which is a blue-based gray. And this, we like. To us, it says ‘Welcome’. It’s not too dark, and not too light. It’s neutral enough for us to add whatever pops of color throughout the room with accessories. Plus, we’re going to redo the fireplace. The brick and the brass fireplace cover (I think that’s what it’s called) are both pretty dated. I pick dup some Rustoleum High Heat in Black to paint the fireplace cover in black. My husband is going to change the brick to… something he likes. The mantel, mantel shelf, and legs will remain white. 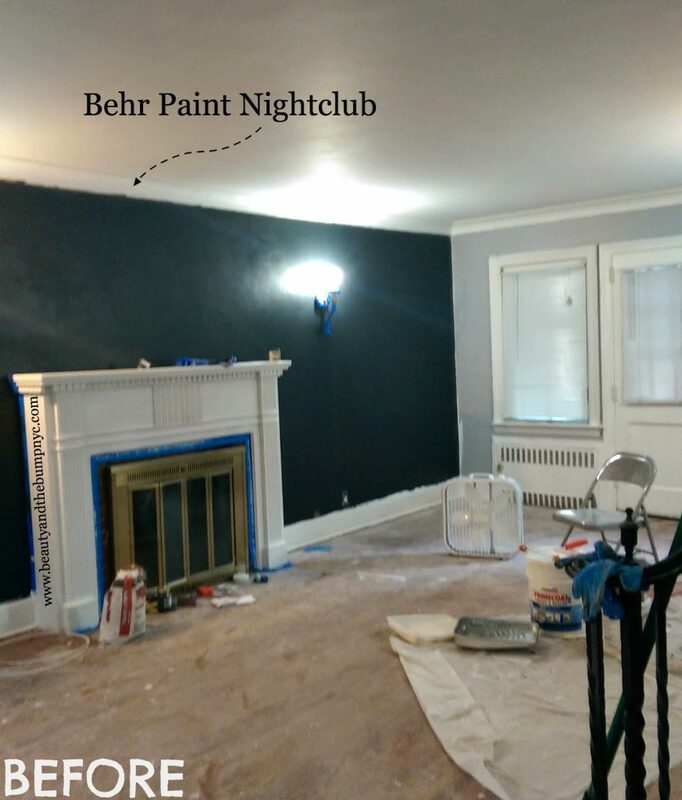 What will I do with the extra Behr Paint Nightclub? I plan on turning it into chalkboard paint, and creating some chalkboard projects either in mini me’s room or in our breakfast nook. Either way, that paint will get used! 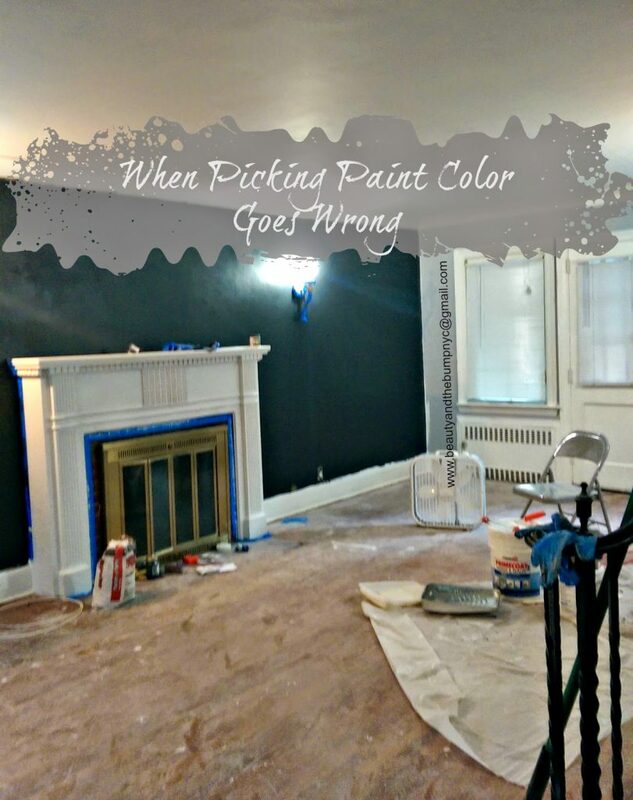 Have you ever picked a paint color and hated it? SPILL! « Mommy Wins! I got my three year old to sleep in her OWN bed!